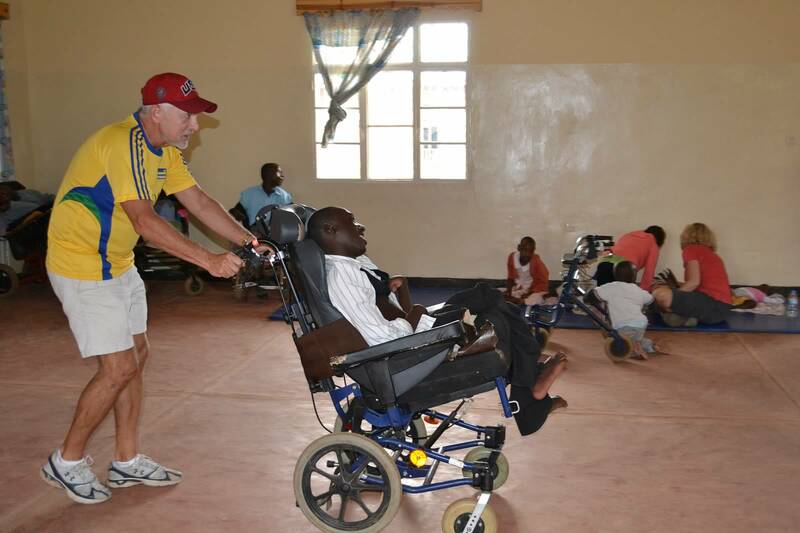 You have an amazing opportunity to work with an Occupational Therapy team in Rwanda- no experience/skills required, just a heart to help children and adults with physical and mental challenges. We would love to have you join us. Please click here for more info and send your applications in by December 1st to be a part of this team! A family of 5 in a tiny two room house. The floor is packed dirt. The entire family shares a single foam mattress that is no longer new and can’t help but be dirty. It doesn’t provide much comfort, but when the more pressing matters are finding enough money for food each day, there is no other choice. Most of us will go to sleep tonight without a second thought to the mattress we sleep on. You may have no idea what a beautiful blessing it would be to a child to receive a brand new mattress this Christmas. It is not elegant, and it doesn’t require batteries, but the joy on their faces will be beyond what you would expect from any toy. In November, Ten Talents will be putting on an early Christmas party for the children in our program. We would love to be able to give children the gift of a comfortable night’s sleep. We want to buy a new mattress for as many children as possible. We would also like to give them a sack of rice, a sack of beans, and cooking oil (to let them rest easy about their daily provisions for a while). It may be early to be thinking about Christmas, but the lyrics to the familiar song Silent Night come to mind, “Sleep in heavenly peace.” Can you give a child the gift of rest this Christmas? The cost of providing a foam mattress and food for each child in our program will cost $12,000. So far we have raised $900 and we will use any and all funds that come in to bless as many children as possible. You can be a part of this blessing, give today! You can designate your gift under “Christmas Party” and if you are able to add a memo that says “mattresses” that would be great- but as long as you put it under Christmas party we will know what its for. Thank you for partnering with us to bring more joy and more hope to the beautiful country of Rwanda. 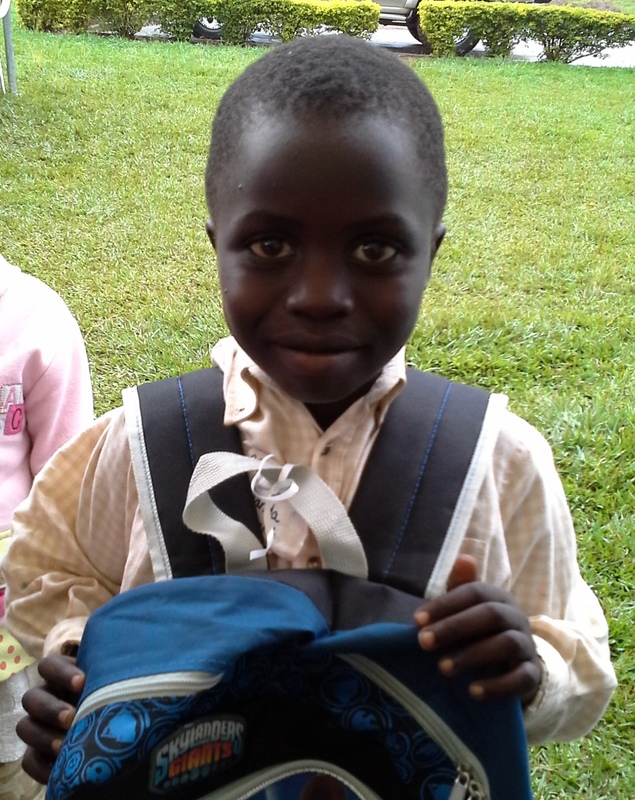 Jean Pierre is a sweet boy who loves to help out and enjoys school. However, when he was little he suffered from polio and the result of that is a disfigurement in his leg which causes him to be slightly hunched over and limp. In 2009, when he was 17 years old, he was forced from his home because his stepfather did not want him around any longer. He tried to live on his own for a while, but without enough resources it was very difficult for him. We brought him into the Home of Innocence and he is able to attend boarding school when school is in session. 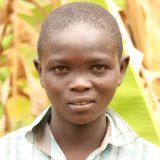 The last few months Jean Pierre has been in severe pain, to the point where he has not even been able to attend school. The doctors have informed us that Jean Pierre needs surgery, and it has been scheduled for this week, August 13th. The cost of the surgery is $2000. Jean Pierre is also currently without a sponsor. Please pray for Jean Pierre’s surgery to be successful as well as for him to receive a sponsor. Please also consider donating to help out with the costs of this young man’s surgery, and or sponsoring him for $105/month. You may view Jean Pierre’s profile by the link below. This trip will make a huge impact both in your own life, as well as in the lives of so many children and families who otherwise would not have any Christmas celebration at all. We count it a privilege to be able to bring the message and joy of Christmas to them. Can you join us? Trip applications are due by August, which is soon! You can download a trip application on our website here. If you feel your heart tugging towards this trip please pray and see if God would have you to be a part of bringing the light and life of Christmas to waiting hearts. We have several children who are in need of a sponsor. One of these is Emmanuel. 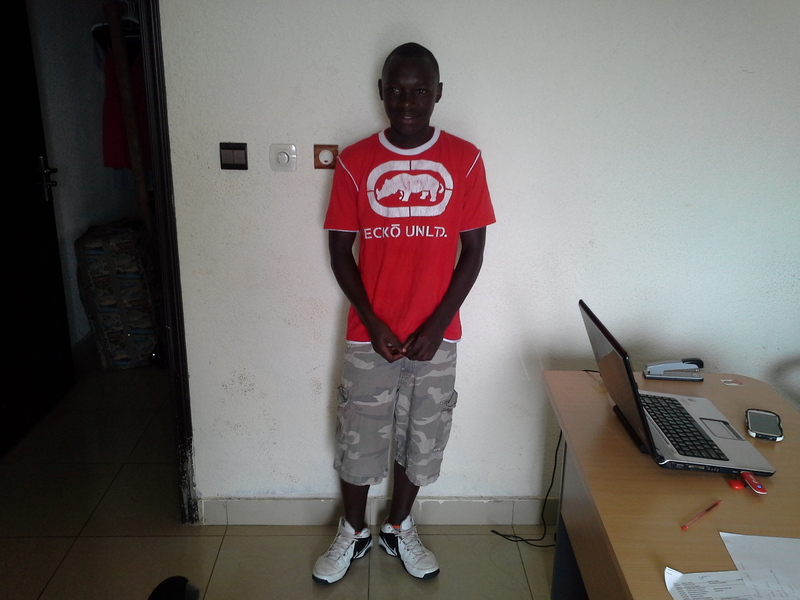 In January of this year Emmanuel moved into the Home of Innocence. We knew about his family because his brother, Celestin, is the first boy we ever brought into the Home of Innocence. Emmanuel is an orphan who had been living with his grandma, and then in January his grandma passed away. With no one to care for him he was brought into the Home, where we now provide for all of his needs. Emmanuel’s sponsorship is $105 per month. Please pray with us for someone to sponsor him. Please share this post if you know of anyone who might be interested in sponsoring (or partially sponsoring) him. You can see Emmanuel on our website here. Right now we are seeing one thing happen after another, and we need people to be praying and standing with us against this attack of the enemy! In my last blog post on Sunday, I told you about the three new children that we have added to the Home of Purpose (girl’s home) and Home of Innocence (boy’s home). Shortly after I posted that I found out that Anneti (11 year old girl) had been injured very badly and I put out a quick plea on our facebook page for people to pray for her. Another teenage girl in the Home of Purpose, Gaudance, who came into the Home in December when she was pregnant, has suffered a miscarriage. In addition to all this, the “uncle” who lives at the Home of Innocence and takes care of the boys has been in an accident and his arm has been hurt very badly. We don’t know many details of all this, but it does not sound good. It does seem as though the enemy is waging an attack against the ministry. Please be covering the ministry with your prayers and we know that as you pray God will dispatch angels to push back the powers of darkness which seek to rise up against what God desires to do in Rwanda. Be praying for the ministry leadership in Rwanda, uncle Kimoto, mama Amani, Sanyu, Juliette, Julius, Coach (Gabi). Please also be praying for our daughter Kelly as she is there right now and trying to help with all of these hardships as much as she can. Pray for God to cover and protect them all, to give them grace, wisdom, peace and strength. Pray for healing for Anneti, Gaudance, and Kimoto. Pray for the children in our programs: In Home, At Risk, College Volunteers and Technical Training. Pray for their protection, God’s grace to be upon their lives, and for their steps to be ordered of the Lord. Pray the enemy would not be able to trap them or trip them up. Pray specifically for the Home of Innocence and Home of Purpose. That those Homes would be places of safety, healing, peace, protection, and hope. Pray for our work in Rwanda, as we are still waiting for the required responses in order to be able to move forward with the development of the HOPE project property. Lastly, please pray for us, Mike & Lisa and Erica. Pray for the Holy Spirit to guide us, give us grace, wisdom and knowledge in every decision that we make. Recently, a mother whose children have been in our “At Risk” program had to abruptly leave the country to take care of family matters in Uganda. She was unable to bring her children with her and left them with the neighbor, who ended up bringing them to the Ten Talents office. These 3 children: Robert, Gloriose, and Anneti (ages 9, 11, and 13) have been brought into the Home of Innocence and the Home of Purpose until they can be reunited with their mother. We are hopeful that the mother will return for her children, but in the mean time the ministry has extra expenses due to providing additional care for these children. The total for the additional needs is $675. The children only had the clothes on their backs when they were brought to Ten Talents, so we bought them new clothes and personal supplies ($275). We also had to buy another set of bunk beds to make a space for the children ($450). Perhaps you can make a donation to help offset the cost of one or more of these items? Please visit our giving page and in the “notes” section of your donations you can write “3 new children”. This is the youngest, Robert. He also needs a sponsor. In addition to the expenses from adding these children to our care, the Home of Innocence is in need of some repairs. I’m sure you can imagine that when you have 14 active boys living in one home, there is going to be some normal wear and tear! The home is in need of some painting, a few beds need repaired, and other projects. The cost for the repairs is $375. If you can help with this need, please visit our giving page, and in the notes of your gift you can say “repairs”. Please pray for Robert, Gloriose, and Anneti, for this transitional time for them and that their mother would be able to return soon. We want to keep all of the children in the Home of Innocence and Home of Purpose in our prayers as we believe God to do miracles in their lives and change their futures! P.S. remember, if you shop on Amazon they will donate .5% with every purchase you make if you go through smile.amazon.com and select Ten Talents International as your designated charity! Here is a link to get you started. You Can Shop and Donate at the Same Time! So add a smile to your amazon shopping & bring smiles to children in Rwanda too- isn’t that great! Spread the word! One of the boys who lives in the Home of Innocence was sent to us because of a request made by the heart doctor at the local hospital. The doctor knows about Ten Talents because of his experience with Benjamin (who had a heart operation in 2010). Not too long after Benjamin’s surgery, the doctor asked if we could take in another boy with a heart condition that was not curable by operation, but was debilitating to the point that the boys family saw him as only a burden and they actually told him they wished he would just die so they did not have to care for him. He had tried to kill himself more than once. When we were introduced to him we were told by the cardiologist (at the best hospital in Rwanda) that this boy would have to take medication for the rest of his life. We have now received a new report from this very same cardiologist. It says that after 3 months of taking no medication (at the Dr.’s request) it is confirmed that the boy has been healed! His heart is functioning normally, he no longer has to take medication, and he is free to do anything he wants! This is a heart that has been changed both spiritually and now physically as well. Praise God with us- this is amazing and wonderful news! A donation has already been received to cover the immediate needs for the Home of Purpose. We will be able to have our staff proceed with these improvements and make life just a little better for these girls. Thank you! If you would still like to give towards the HOPE Project construction, please read more about it here, or you can visit the giving page of our website here.